This article is based on Episode 17 of The Little Red Podcast, featuring Børge Bakken and Louisa Lim. Last week’s letter of the week in the Jamaica Gleaner was ‘Taking a leaf out of China’s book’. The letter cites Meng Jianzhu, head of the CCP's Legal Affairs Commission, who says ‘the homicide rate in China in 2014 [was] 0.7 per 100,000 residents, which is better than those in developed countries such as the United States, the United Kingdom or France’. It goes on to argue that this is because ‘in China, you pay for your crime’, so Jamaica should ‘swing them high. Let it be clear that if you take a life, you have forfeited yours’. I’ve heard this argument made throughout the developing world in support of the introduction, or wider application, of the death penalty. But there's one big problem: as Børge Bakken reveals in this month’s episode, Meng’s numbers are bogus. The murder rate in China does not equal that of Switzerland, as the Global Times claimed in 2015. It’s higher than anywhere in Europe, and similar to that of the US. And in the middle of its own war on drugs, the Chinese state may well be executing tens of thousands of its citizens, most of them impoverished farmers from south-western provinces, without the straightforward link between crime and punishment the Jamica Gleaner's forthright correspondent assumes. Faked crime numbers are not limited to headlines. In Guangzhou, Bakken’s research team found that 97.5% of crime was not reported in the official statistics. Of 2.5 million cases of crime, in 2015 the police commissioner reported 59,985 – exactly 15 less than his ‘target’ of 60,000, down from 90,000 at the start of his tenure in 2012. Migrant workers, who are the perpetrators and victims of 80% of crime, are left out of the numbers because they don’t count as Guangzhou residents. They are the concern of their home county. The police only take on, and report, cases they can solve, because their careers depend on their case-cracking rate (po’an lu). This leads to perverse incentives, such as citizens being punished for calling crime hotlines. Bakken explains, ‘it’s a system that’s being falsified from all kinds of levels, for propaganda reasons, for managerial reasons, for recording reasons. All of these numbers are totally falsified’. Guangzhou is not the only place to ignore crime committed by those outside its jurisdiction. Each county is responsible for bringing its residents to book, but lacks the resources or the authority to chase criminals beyond its border. In rural Anhui, I wondered why every grand scam in Benghai county – and there were many – was pulled by outsiders from Zhejiang, Fujian, or elsewhere. Then one case made it clear. A paper company from Fujian approached a privately owned paper mill with a deal to make eco-friendly packaging for the Japanese market. After trust-building exercises in local saunas, they agreed go halves in the venture, and gave a list of companies that could provide technology to upgrade their mill. The investor and the suppliers were one and the same, and the locals paid well over the odds. Packaging was produced, but claims of Japanese connections were exaggerated, and soon phone calls were not being returned. Rather than helping, the Benghai county police blocked the mill’s efforts to get their money back. County officials had claimed credit for attracting this investor and didn’t want to lose the political capital. Eventually, through provincial police connections, the mill owners took the county police to the investor who was held in custody until he paid the sum received from the paper mill into a police bank account. Once the money was paid, the investor was released into the arms of a neighbouring county where he had pulled exactly the same scam. The amount the investor extracted nationwide exceeded 300 million yuan, but because of pressure on local officials to attract investment, and their lack of jurisdiction in Fujian, no one had pursued him. The Benghai police had another surprise. They demanded a 100,000 yuan ($19,500) ‘case-cracking fee’ from the mill before they released the funds. The mill paid in kind, ‘donating’ a new police vehicle. When they tried to do illegal cigarette making or illegal logging, they were caught by the local police. If you go outside the village you become a hero because you bring money into the village. They were the first to build three-storey buildings, they were the guys whom the girls wanted to marry; they became millionaires. And now they [have] spread all over China. The most chilling villages are those that specialise in child kidnapping. Bakken’s team estimate that only about 1% of children kidnapped in China are ever found. Taken before the age of three, with no distinct dialect or memories of their parents, the missing children are not helped by a police system that puts more resources into cracking down on their parents than catching the kidnappers. The parents make up a large proportion of petitioners in Beijing and provincial capitals. Not surprisingly, many Chinese police hate their work. As researcher Suzanne Scoggins wrote, their lives are ‘filled with uncertainty, hardship and feelings of powerlessness’. Adding to their unhappiness is being forced to rely upon torture during pre-trial detention. The system relies upon confessions, not forensics or profiling. Meng Jianzhu may have dreams of AI ‘drastically improv[ing] the predictability, accuracy and efficiency of social management’, but most suspects face the old-fashioned phone book treatment. This is a long way from Chinese police dramas, which take CSI pyrotechnics to another level, or beautifully choreographed arrests of Chinese criminal gangs in Fiji. 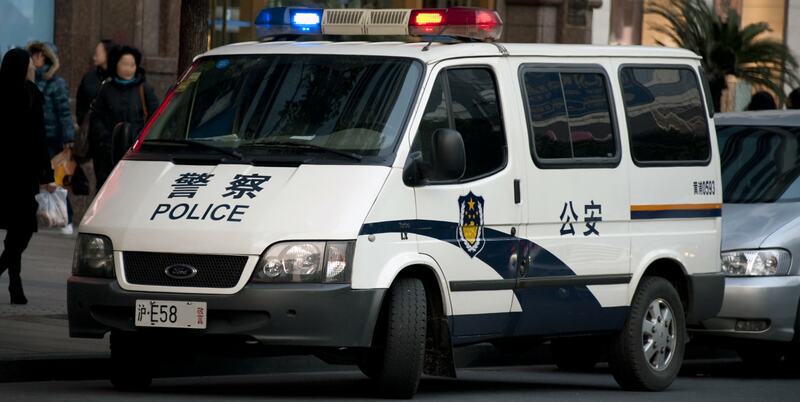 We should work with Chinese police who are desperate to professionalise their work, but not kid ourselves that Australians detained in China will face a similar legal system to our own. Despite the Jamaica Gleaner's enthusiasm for it, a system that executes an unknown number of its citizens for crimes that are not reported is not one we can trust. An extradition treaty between Australia and China should stay off the table for some time yet.